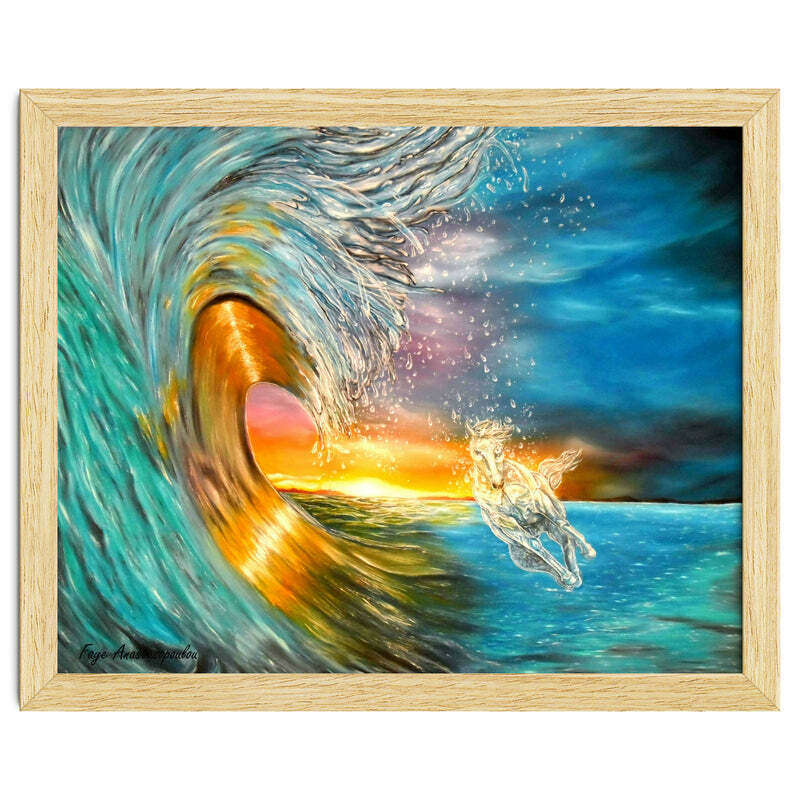 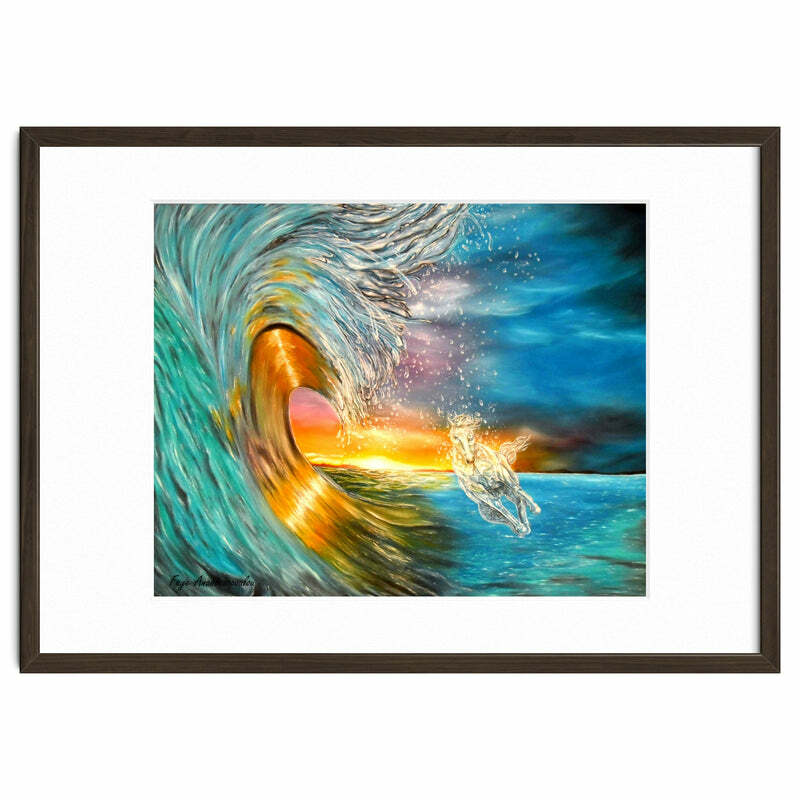 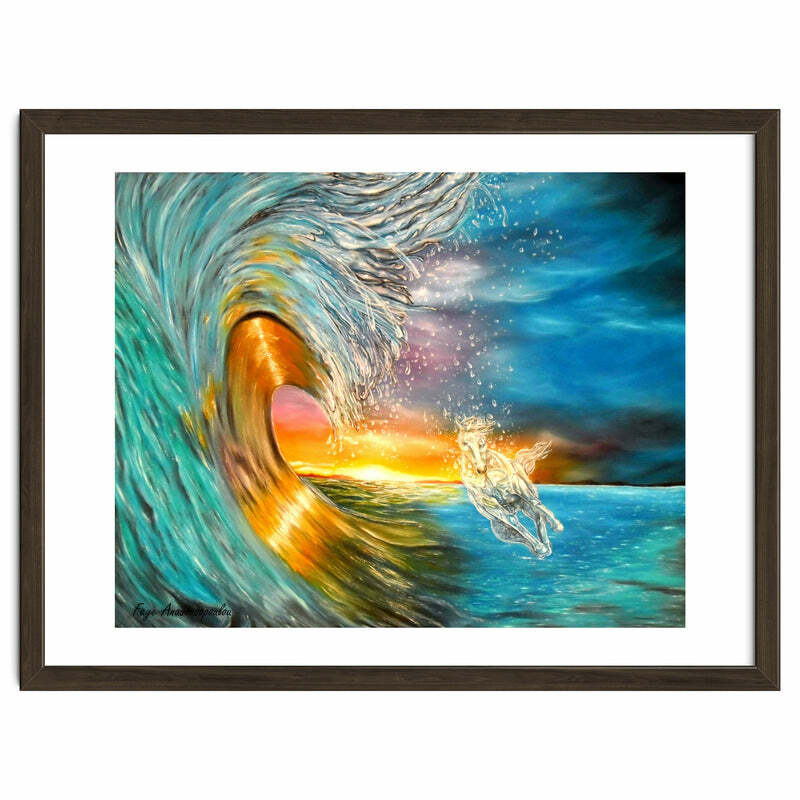 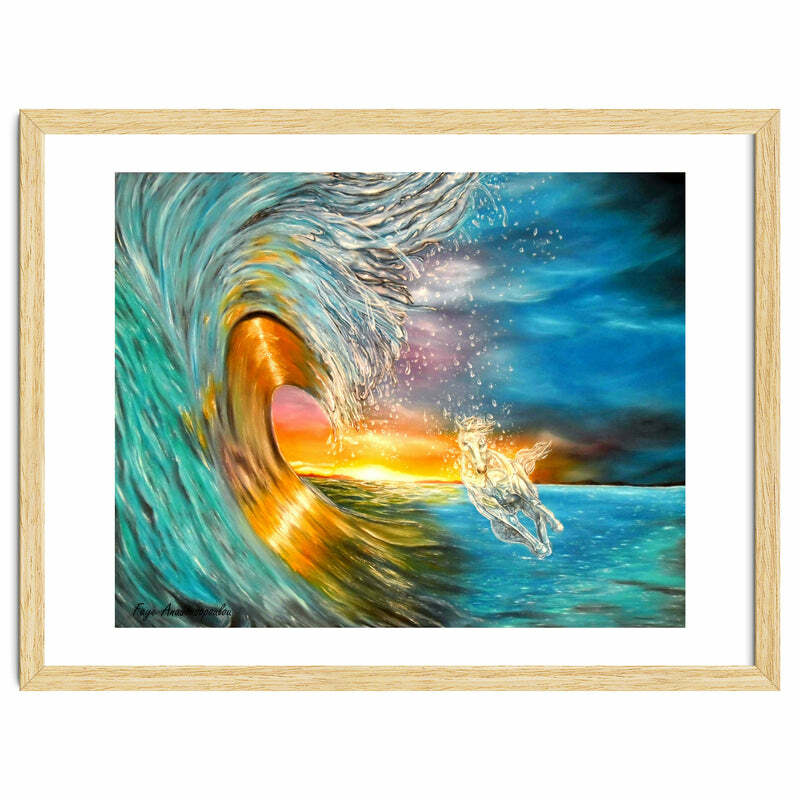 Oil on canvas painting - Surrealistic seascape with a mystical fantasy feeling. In this dramatic dreamy atmosphere, the water is not splashing because it has turned into crystal just like the horse captured in the moment. There is a strong sense of light in this painting which creates intense contrasts.The stillness of the moment in contradiction to the feeling of freedom of the running horse.